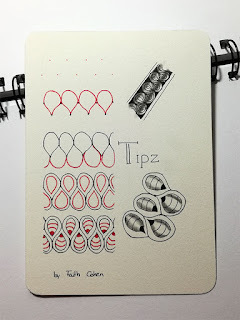 I started a new zentangle - stepout collection for me. Some time ago I started something like this again. 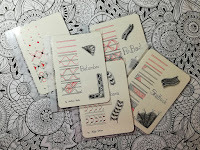 I found a blogpost about collecting zentangles on index cards and tried that too. But I rushed and wanted to do as many stepouts in a short time that I could do and I didn't liked the result, so I never used that box. I didn't liked the texture of that index cards either. more care for every card. I bought a small ring binder with punched pockets in dinA6 to put the cards in. 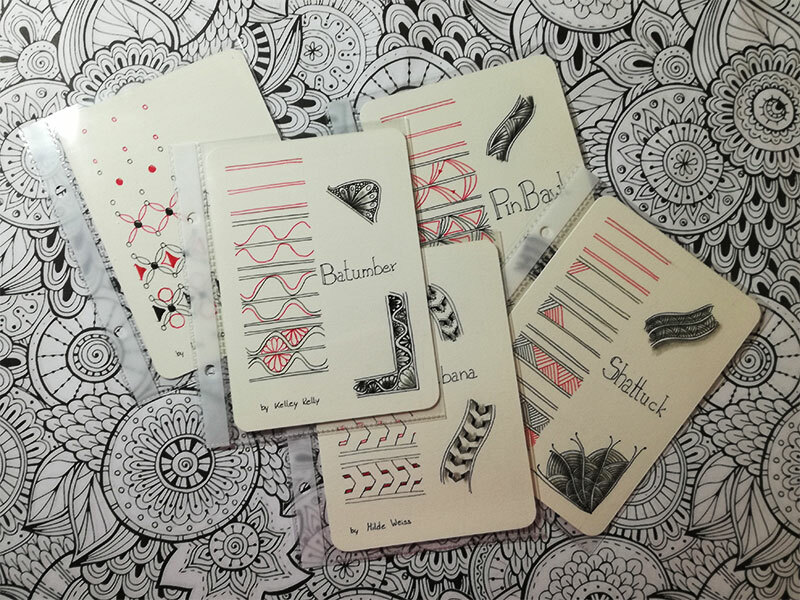 And now I'm drawing one or two of these cards when I would like to do/draw something but dont have much time or don't know what to draw or if I'm to tensed to draw something because I'm afraid to do it wrong. With these stepouts I cant do anithing wrong so its a good starting point for me to get a bit more loose. Some of the stepouts I vary a bit because I cant follow the original versions that easy. One of these is the pattern "Tipz" by Faith Cohen.